Since 1977, we have offered commercial fixed-rate mortgage loans for all types of scenarios. With over 31 years of experience in the commercial industry, we are the primary source for your commercial fixed rate mortgage needs. Fixed rate commercial mortgage allows for easier budgeting and planning for your business. Commercial fixed rate mortgage products are mortgages that possess an interest rate and payment that is fixed for the full-term of the loan. Consequentially, these loans are easier to budget, especially over a longer period as it offers steadiness in an always changing market. It is especially important for businesses to be informed of their exact costs every year so that they are informed of the rates and costs each year. 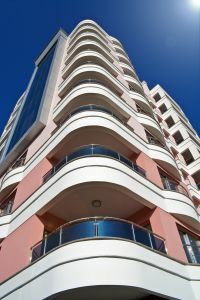 Typical properties that are financed include multi-family, full as well as limited service hotels, anchored and unanchored retail, office, industrial, self-storage, and senior housing. The length of term usually lasts from 5 to 20 years. Our experience in this industry allows us to offer one of the lowest and most competitive interest rates around with interest rates set at spreads, depending on the property type and the underwriting criteria. Depending on each scenario, loan to value is available up to 80%. Call us or email us to get started on potentially securing a commercial fixed rate mortgage loan today!